We have various Training Plans to meet your needs from 8 week base phase to full IRONMAN TrainingPlans to ensure you reach the finish line, whether you’re a beginner entering your first Triathlon or whether you’re taking your racing to the next level. 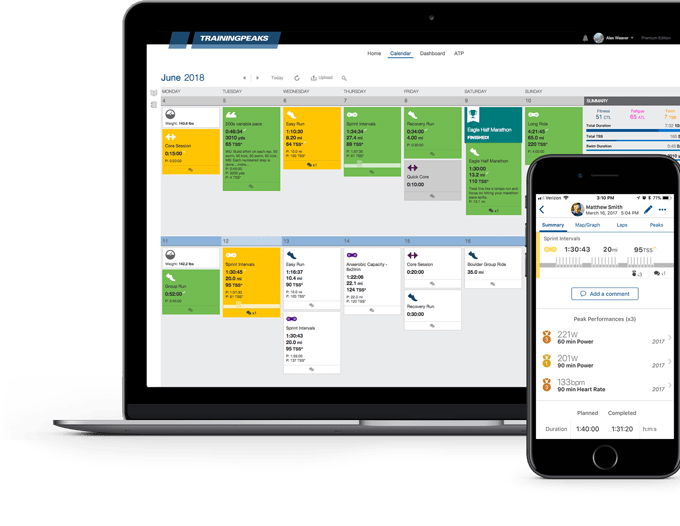 Our Training Plans are all integrated with in the TrainingPeaks Coaching platform, all you need is a FREE TrainingPeaks basic account. Example week from one our Intermediate Base Training Plans. Once you have your TrainingPeaks account browse our store to find the correct TrainingPlan for you, or contact and book a consultation to discuss your requirements with a Certified Coach. Included with all Training Plans are “Email Credits” you can then use them to get email contact with a Certified Coach, to make you sure you stay on the right track and answer any questions you may have as you progress through the plan. emails will be answered within 48 hours. The number of Credits will depend on the length of the plan, if you need more contact you can always purchase more Credits from the Store. Book an hour consultation with a Certified Coach and get 10% discount code to redeem off your first Training Plan. Sign Up for a TrainingPeaks Account. Select a TrainingPlan from the Store. Plan will be allocated to you’re TrainingPeaks account.